Pianist Alan Smith enjoys a reputation as one of the United States’ most highly regarded figures in the field of collaborative artistry. Pianist Alan Smith enjoys a reputation as one of the United States’ most highly regarded figures in the field of collaborative artistry. His performing experiences have included associations in major musical venues with such musical personalities as bass-baritone, Thomas Stewart; soprano, Barbara Bonney; mezzo-soprano, Stephanie Blythe; violist, Donald McInnes; violinist, Eudice Shapiro; as well as the Los Angeles Chamber Virtuosi. Broadcasts of his performances, compositions and interviews have been aired internationally. His expertise and experience in song literature, chamber music and opera make him much sought after as an accompanist, coach, faculty colleague, teacher of master classes and adjudicator of area and international competitions, including regular engagements as a judge for the Metropolitan Opera National Council Auditions. At the USC Thornton School of Music, Professor Smith serves as the chair of Keyboard Studies and still serves as the director of the Keyboard Collaborative Arts Program, one of the oldest and largest programs of its kind the country. Having studied with the legendary Martin Katz, Alan Smith has become a teacher of renown himself; among his awards are the Virginia Ramo Award for excellence in teaching and the Dean’s Award for Excellence in Teaching from the Thornton School and the Inaugural Mellon Award Certificate of Recognition for Excellence in Mentoring. His current and former students maintain important positions internationally in the field of collaborative piano and coaching. 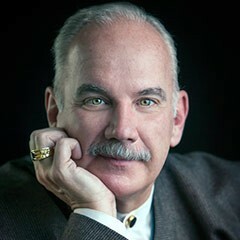 He has served for 24 years as a member of the vocal coaching faculty at the Tanglewood Music Center in western Massachusetts, was formerly that program’s vocal program coordinator and most recently served as the coordinator of the piano program, for which he held a named chair as the Marian Douglas Martin Master Teacher.His own compositions for voice and piano have received performances in many parts of the world by some of the world’s most acclaimed artists in such venues as Carnegie Hall, Lincoln Center, Kennedy Center, Wigmore Hall, Tanglewood Music Center, Music Academy of the West and the Ravinia Festival. He was commissioned by the Tanglewood Music Center for a set of songs for a world premiere gala concert in 2002, celebrating the 80th birthday of American soprano, Phyllis Curtin. Alfred Publishing released his Four Folksongs for Soprano, Viola, and Piano in September of 2003 and his song cycle, Vignettes: Ellis Island, was recorded for public television in New York by mezzo-soprano Stephanie Blythe and pianist Warren Jones, and was aired in January of 2004. The performance has been added to the permanent collection of the Museum of Television and Radio in New York.He was commissioned to compose a new vocal chamber work, which was premiered by the Chamber Music Society of Lincoln Center in February of 2008. The composition, on texts taken from the diary of an American pioneer woman who crossed the continent in a covered wagon, Covered Wagon Woman was commissioned to be performed by Stephanie Blythe, and pianist, Warren Jones and has been performed nationwide. 2011 saw the world premiere of An Unknown Sphere, a piece for mezzo-soprano soloist and unaccompanied chorus that was commissioned by the Boston Symphony Orchestra for the Tanglewood Festival Chorus and Ms. Blythe. Dr. Smith has had articles published in Piano and Keyboard magazine and his articles and reviews on various aspects of collaborative artistry have appeared in the magazine, The American Music Teacher. He is president of the Eta chapter of the Pi Kappa Lambda national music honor society. An Unknown Sphere, for unaccompanied chorus and mezzo-soprano soloist commissioned by the Boston Symphony Orchestra, James Levine music director, for the Tanglewood Festival Chorus and Stephanie Blythe.&nbsp; Premiered in Seiji Ozawa Hall, Tanglewood Music Center, summer 2011. Commission from the Chamber Music Society of Lincoln Center for a vocal chamber work, Vignettes:Covered Wagon Woman, for mezzo-soprano, violin, cello, and piano; premiered February 20, 2008 by the Chamber Music Society of Lincoln Center, New York City, 2008. Vignettes: Covered Wagon Woman, for Mezzo-Soprano, Violin, Cello, and Piano; recorded on the Chamber Music Society of Lincoln Center label with Stephanie Blythe, mezzo-soprano, and Warren Jones, piano, 2008. Vignettes: Ellis Island, A Song Cycle in Six Parts for Voice and Piano (26 songs). Recorded for New York public television, November 2003 with Stephanie Blythe, mezzo, and Warren Jones, piano. Aired January 2004, sponsored by Opera News. Requested for and placed in the permanent collection of the Museum of Television and Radio, 2004. Windows, Five Songs of Love, on poetry by Alan Louis Smith, for soprano and piano. Dedicated to soprano Diana Newman.&nbsp; March 2013. May, 2007. Premiered January 25, 2008, Marilyn Horne Foundation Recital, Carnegie/Zankel Hall, New York, Stephanie Blythe, mezzo-soprano; Warren Jones, piano. Vignettes: Covered Wagon Woman, from the Daily Journal of Margaret Ann Alsip Frink, 1850; for mezzo-soprano, violin, cello, and piano, 38 minutes. Commissioned by Music Accord for Chamber Music Society of Lincoln Center. Premiered, February 22, 2008. New York City at the New York Society for Ethical Culture. Stephanie Blythe, mezzo-soprano; Ani Kavafian, violin; Priscilla Lee, cello; Warren Jones, piano. Vignettes: Ellis Island, A Song Cycle in Six Parts for voice and piano (26 songs), 30 mins., 1999. Premiere: 2000, USC, Stephanie Blythe, mezzo-soprano and Alan Smith, piano. New York premiere: 2001, 92nd Street Y, Stephanie Blythe and Warren Jones. Recorded for New York public television, November 2003, Stephanie Blythe, mezzo and Warren Jones, piano. Aired January 2004, sponsored by Opera News. Requested for and placed in the permanent collection of the Museum of Television and Radio, 2004. Four Folksongs, four arrangements for soprano, viola, and piano, 12 mins., 1988.&nbsp; Commissioned by L&rsquo;Amiti&eacute;.&nbsp; Recorded by Trio Ariana, 1999. Published September 2003 by Alfred Publishers.